Earlier this year, the DC Extended Universe made a bombshell revelation when it confirmed that Joss Whedon was being brought in to take on a Batgirl movie. The unexpected news left fans gawking as Warner Bros. has already made announcements with DC Entertainment about a new film focusing on Nightwing. However, it looks like the Bat Family can’t be contained. Since the announcement was made, Whedon has kept mostly to himself about the project, but a few rumors have circulated here and there. Mostly, fans have been busy fan-casting the role of Barbara Gordon, and many have started to wonder if Whedon has an actress in mind for the role. However, when it comes down to it, the director says he’s still in the process of nailing the character down. Earlier tonight, Whedon spoke with Variety on the red carpet for Guardians of the Galaxy Vol. 2, and he was asked about Batgirl. “There’s so many things to say about her. I’m very excited to see a girl in the cowl,” he started. But, when it came time to talk casting, Whedon stressed he did not have any actresses in mind yet. When the director was asked whether he wanted a fresh-face for the role, Whedon said he was not necessarily opposed to bringing in big name talent. 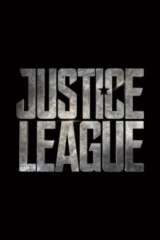 Justice League is out November 17.